I will send to you a CD Rom with the pictures of our two 36" Rumfords. They are built into a corner on the first floor and directly above on the second floor. There are two flues that share one chimney. 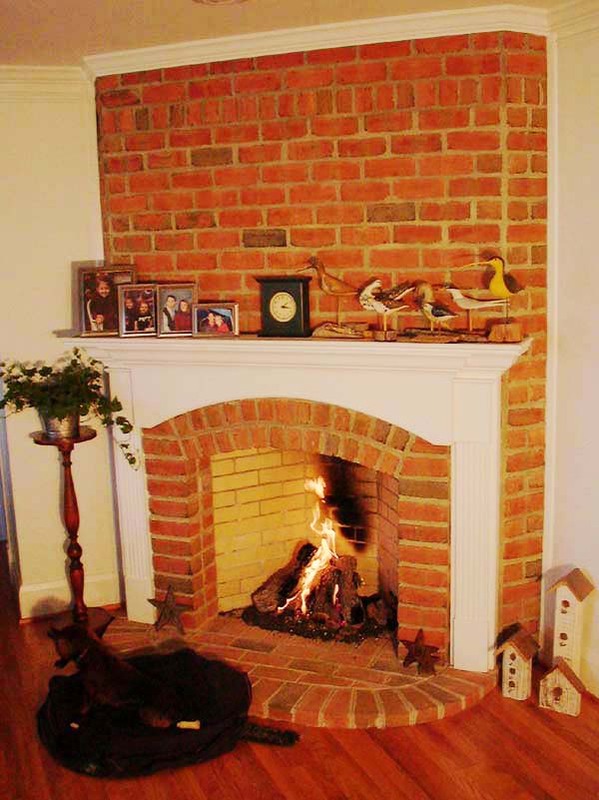 We have the gas log set installed that we just love. They provide excellent heat but no smoke or odor. The mason also did a great job with the chimney. He added all kinds of detail. I think these pictures will be worthy of your web site because of the unusual design and the fact they are built into a corner. We love our fireplace!